ManageEnergy facilitators are dynamic, engaging trainers with wide-ranging expertise. 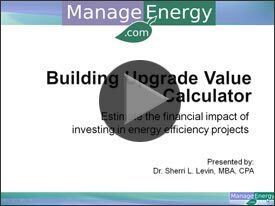 Dr. Sharon L. Levin, MBA, CPA Founder, ManageEnergy With over 20 years experience as a university professor of accounting, finance, and organizational science, and 10 years experience in the energy field, Sherri Levin is committed to teaching energy efficiency. 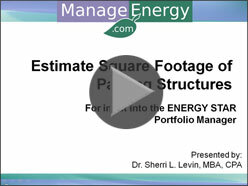 Sherri is most well known in the energy industry for her passionate commitment to conducting trainings for ENERGY STAR®. “Given my background as an educator, I feel ethically responsible to teach clients how to access the FREE tools, resources, and rebates available through ENERGY STAR® and other government and university-sponsored programs.” Sherri Levin Founder, ManageEnergy Seen & Heard Around the Country. >>Read More About Dr. Levin. Dr. Brad D. Lafferty is an expert at organizational management, logistics engineering, tactical acquisition and quantitative analysis to include strategic planning, leadership, creativity and innovation. He has served as a strategist and policy developer, senior logistician, Imagineer and crisis action planner in many civilian and government organizations. Selected for General Tommy Frank’s US Central Command Personal Planning Cell for the Afghanistan Campaign, he initiated campaign strategy and logistics. Having consulted to more than 100 military, business, government and educational organizations, Brad has the ability to help your organization build a team, utilize diversity, define goals and develop a strategy to achieve them. Ken Meissner is an expert in designing and delivering complex multi-million dollar programs, including customized development of systems and training for ongoing program management. Hands-on experience makes him the ideal trainer for the building managers and engineers who will ultimately be responsible for implementing your organization’s energy-efficiency program. Ken brings valuable perspective across all the disciplines of program management, including estimating, planning, execution, progress reporting, risk management, quality assurance, P&L, and more. Jeri Flood is a marketing expert who has worked for Fortune 500 companies in the hospitality, travel, and media/communications industries. She launched her own consulting firm specializing in health care services marketing. Jeri is highly versed in all aspects of promotion, partnership development, direct marketing, brand/image management and new production creation. Her ability to communicate marketing concepts in layman's language is unparalleled. She is also a skilled copywriter. Jeri is delighted to be a member of the ManageEnergy training team. Lisa Fife, has extensive experience as an educator, consultant, and coach. Lisa has also used her communication expertise as a litigation consultant with a Fortune 10 company. As a coach to key decision-makers, she has focused on creating innovative long-range strategies, and solving complex, challenging problems.